Yesterday evening we had a small ceremony at the HCL Sunnyvale Office. HCL O2 awards winners were invited with their families for Vineet Nayar’s address to the achievers and a dinner. It was a fabulous evening with some of the best HCLites (including me :-). 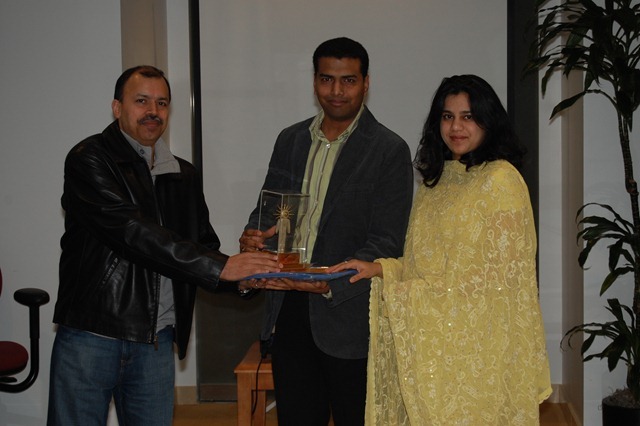 Here is a pic of Pallavi and myself taking award from Anoop. Raghavan took this nice picture – thanks to him!